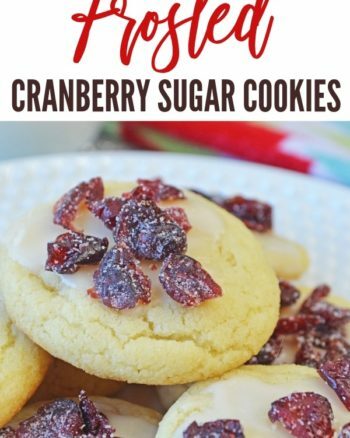 As soon as they start putting cartons of eggnog out on the grocery store shelves (or in their fridge) I start snatching it up and looking for ways to put it in everything during the holidays. Basically, any recipe that calls for milk or cream can be made more holiday-ish by putting eggnog in its place, and maybe a dash of nutmeg for good measure. 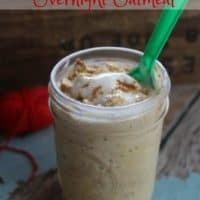 This Eggnog Overnight Oatmeal is a delicious breakfast or midday pick me up that is perfect for those rushed mornings or a Christmas morning breakfast. 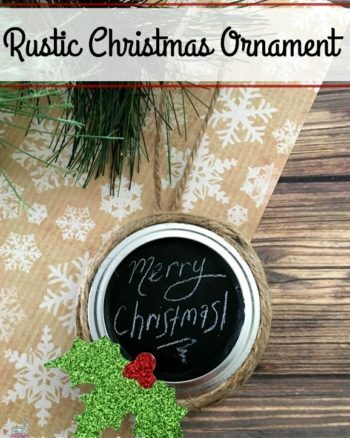 Serve it cold or warm up the jar the next morning and enjoy! 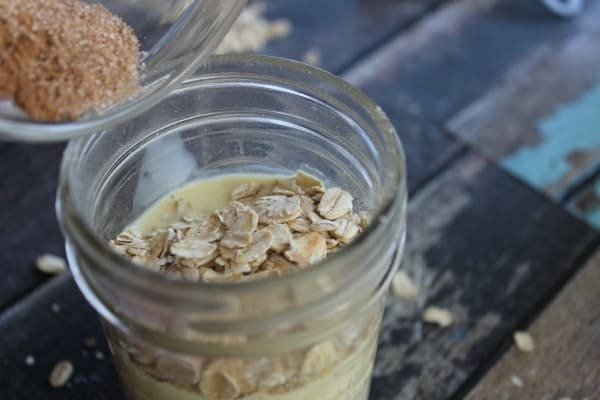 Combine your oatmeal, eggnog, and seasoning in a small jar or mug. stirring to combine well -an 8 oz. 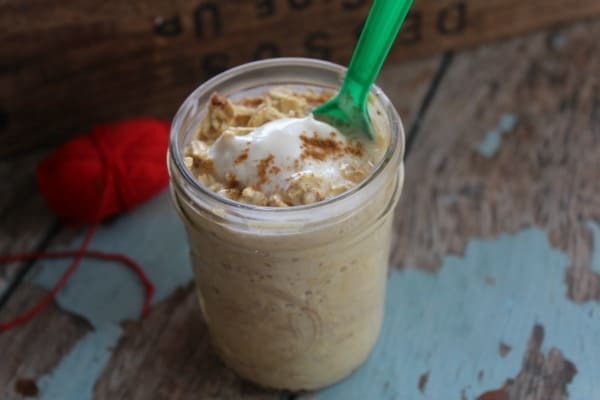 half-pint mason jar is the perfect size for this eggnog overnight oatmeal recipe. 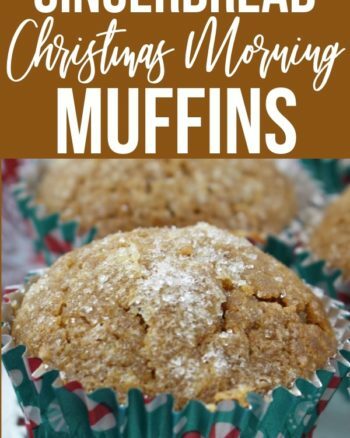 These Homemade Gingerbread Muffins are perfect for Christmas morning. Cover and place in fridge overnight, or at least for 3-4 hours to allow the oats time to absorb all the liquid. When you are ready to serve top with a dollop of plain or vanilla yogurt and a dash of nutmeg. You can warm your overnight oatmeal as well if you prefer. 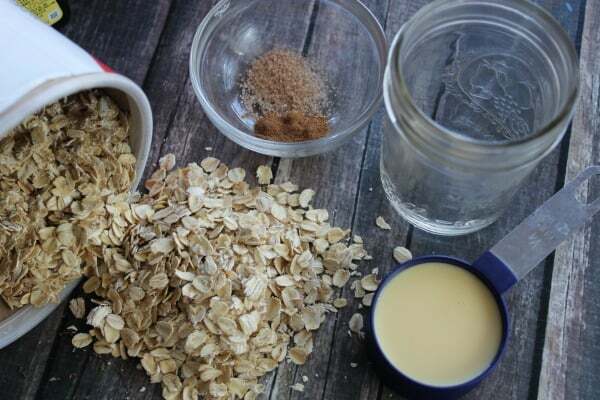 Cover and place in fridge overnight or at least for 3-4 hours to allow the oats time to absorb all the liquid. When you are ready to serve top with a dollop of plain or vanilla yogurt and a dash of nutmeg. 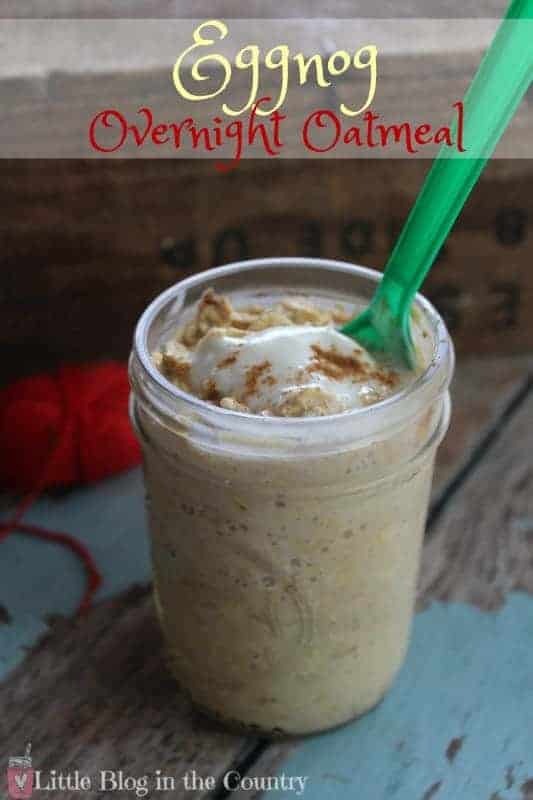 You can warm your overnight oatmeal as well if you prefer.